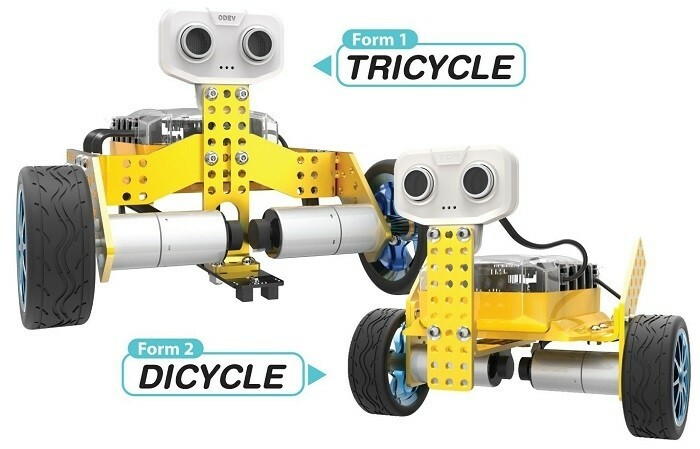 Tomo from Tenergy is a 2-in-1 STEM educational robot kit that can be assembled into 2 different robots: a tricycle or a self-balancing 2-wheeled dicycle. 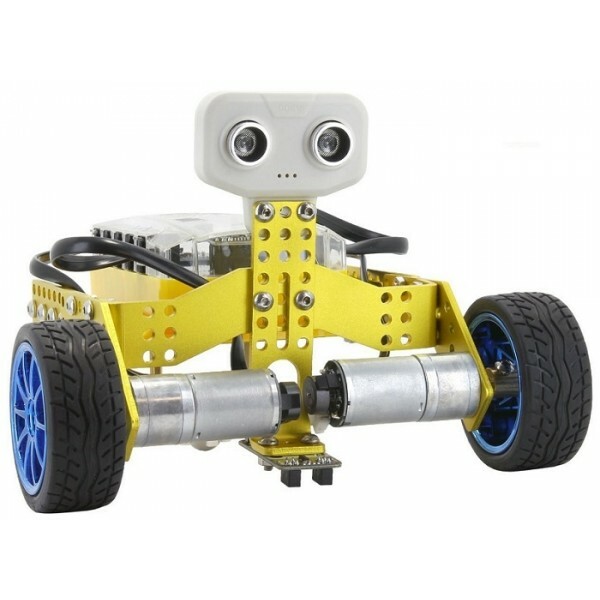 Control, program and share via smartphones or tablets to explore the endless possibilities of robotics! 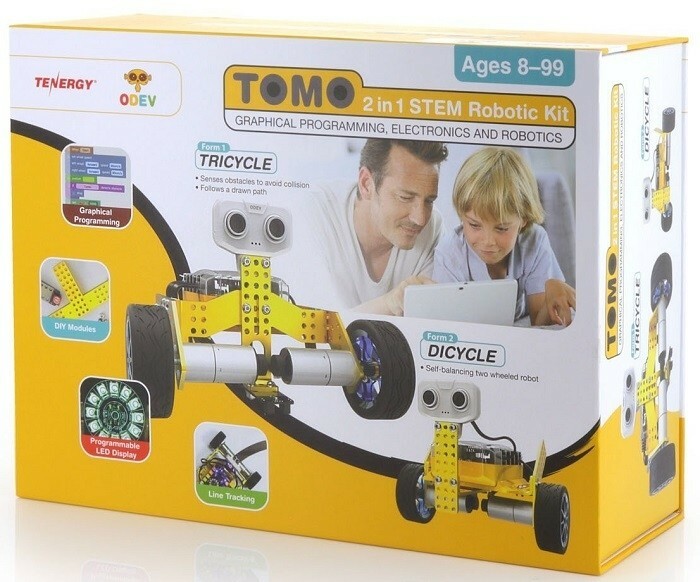 Two FREE apps are available for young learners to interact and play with Tomo: ODEV Explorer is an easy-to-use app with options to control and play with Tomo, while ODEV Blockly is an app based on Google's open source library Blockly and allows beginners to learn graphical programming. 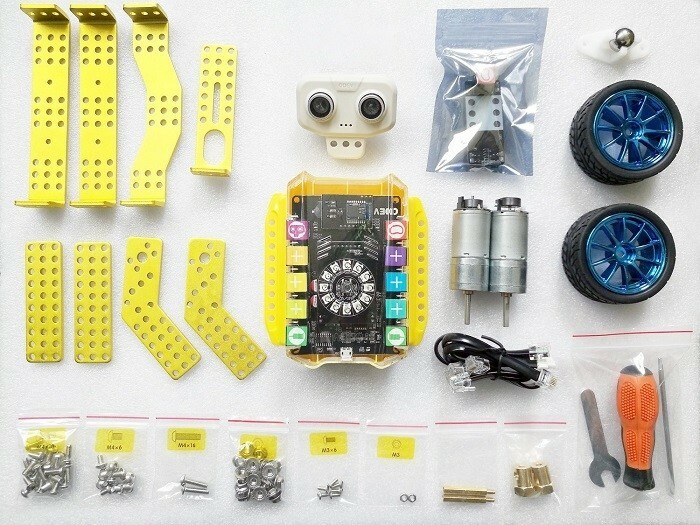 The brain of Tomo is the powerful main control board that comes with an enclosed case with color-coded ports, making it easier to assemble and allow for various extensions. 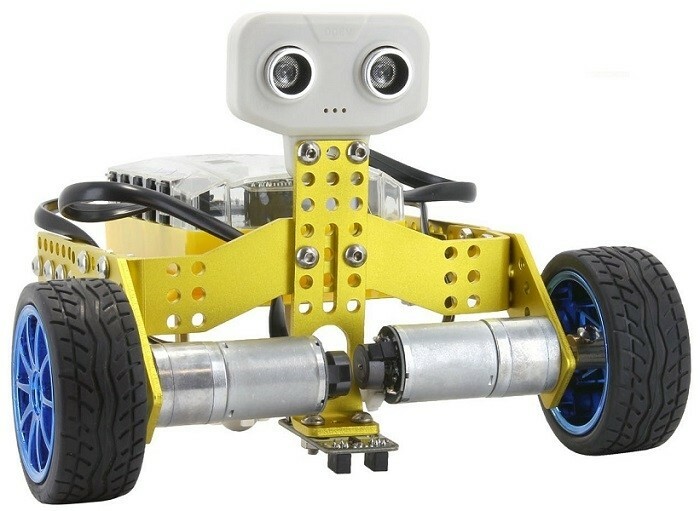 This robot kit is compatible with IOS 8.0 or higher and Android 4.3 or higher.